Was this a first time A-level Hollywood took ghosts seriously? Ray Milland stands in for scoffers and jokes throughout over un-likelihood of such phenomenon; even his final reckoning is capped by a quip. It was a risk to play spooks straight, other than for kids, to whom no part of The Uninvited was addressed. Ghosts here require unfinished business to justify return from beyond, so visitations have not only practical application, but usefulness toward clearing up a murder mystery that ends up being main thrust of The Uninvited. A help too was war-timed fantasy of the dead coming back to comfort those left uncertain or bereaved, a theme many in 1944 would connect with on deep, if unspoken, levels. All this did less to scare than to reassure us. Once matters are put right, we have nothing to fear from those departed, it being understood that morality applies as much in a next world and eternal reward comes only after earthly accounts are settled. With so much war loss experienced among '44 patronage, you have to figure timing was ideal for sober consideration of what going beyond the veil amounted to, and whether it was possible for membership there to make short trips back. Were there sightings of the departed among those who'd lost family to the conflict? It would have been easier to laugh off The Uninvited before our own casualties began piling up. Paramount must have sensed this before committing to lavish and assured telling of what would formerly have been considered too tall a tale. Cloaking it all in dreamy romance was more for a plus column, and wise too was no mention of ongoing war. The Uninvited was remembered well by first-run attendance, better still by those coming by it later on television, which makes unaccountable Universal's so-far failure to release it on DVD. There's lately a Region 2 disc from England with a nice booklet, but quality (or lack) smacks of an old transfer that could stand updating. I screened THE UNIVITED as part of my Rochdale College program in the 1970's. It was neat to watch the film erode the audience's disbelief. In 1969 while browsing in a used book store in Ottawa I saw a book on the occult that captured my eye. "If you are interested in that there is a group meeting tonight you should check out," said the girl. I went over to the meeting take a seat at the back of the room which filled up with about 100 people. A woman introduced herself to us. As she spoke I looked around at the others there. A fellow by the exit door, when he caught my eye on him, faded from view like in the transporter beams in STAR TREK. "Interesting," I said to myself. I kept an eye on that spot seeing him two more times before the break. At that point I introduced myself to the speaker telling her what I had seen. "Wait here," she said as she left the room. She came back with a photograph. "Is this the man?" she said. She replied, "That is the caretaker. He died yesterday. Where you saw him was his favorite place to sit during our meetings." I was neither awed nor alarmed by this. It was just a piece of new information. The letters INRI which Pilate placed over the head of Jesus on the cross are usually rendered "Iēsus Nazarēnus, Rēx Iūdaeōrum," can also be rendered "Inis Naturalis Regeneratis Inis" which "The light made flesh reborn as light." We are all light (energy) made flesh. In this moment we have the power to possess our self and to be reborn as light. Heraclitus said the same thing long ago, "In both the coming in and the going out we are fire, everlasting fire." Einstein's famous formula E-MC2 says the same thing. In plain English WE ARE FOREVER. Another film that skillfully erodes the audiences' disbelief if CURSE/NIGHT OF THE DEMON in which Dana Andrews character scoffs at the supernatural only to be confronted at the film's climax with utter horror. This, too, is a great film to watch work on an audience. 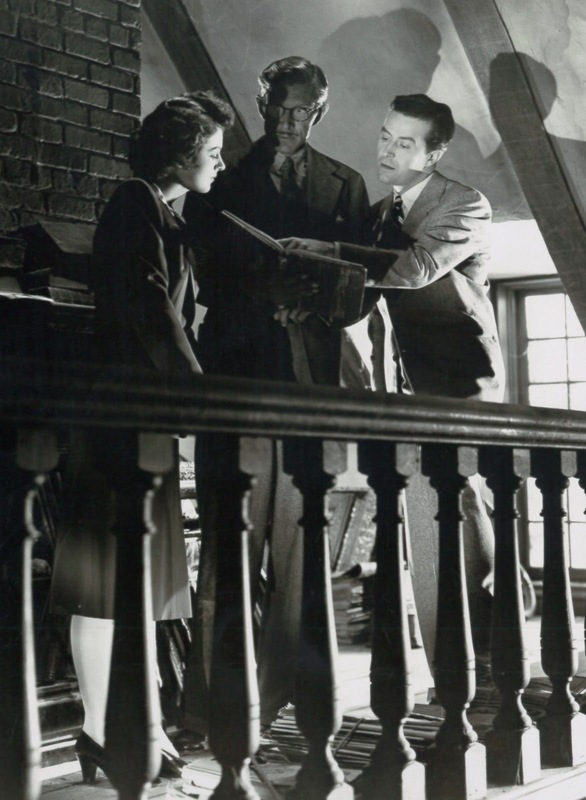 Once again, John (as with your recent post on Yankee Doodle Dandy), your view of a film (in this case a personal favorite) through the eyes of the audience of its day sheds new light for me. 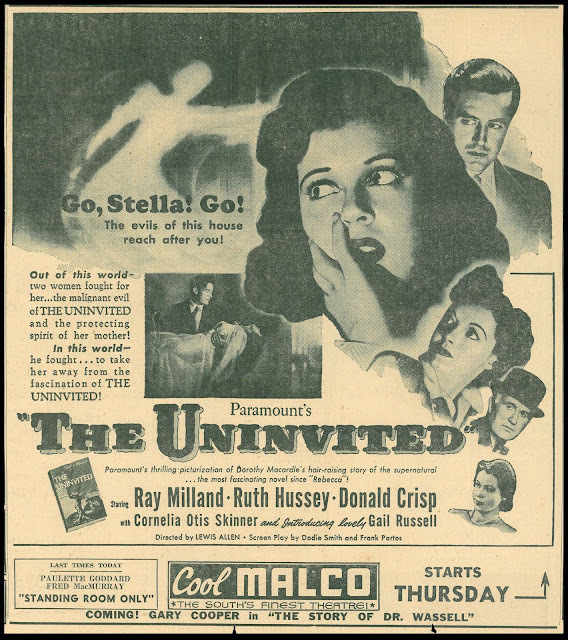 I first fell under the spell of "The Uninvited" watching it unspool on channel 8 out of Poland Springs, ME, who's library often seemed to consist of nothing but Ray Milland's 40's Paramount output. 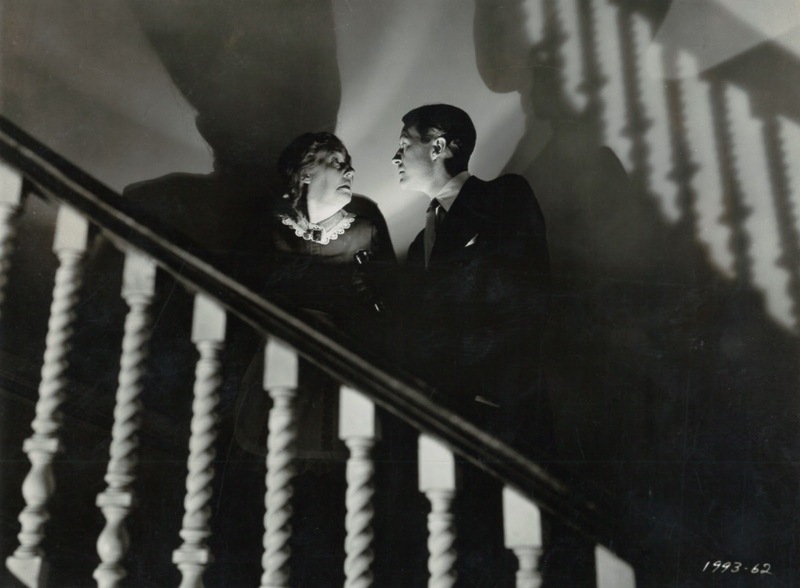 I was used to my B & W ghost stories being comic (Abbot & Costello, Laurel & Hardy, the Bowery Boys), and I remember thinking it a very sophisticated, and beautifully shot, take on the genre. I, too, have long found it puzzling that there's been no DVD release, and that the film remains largely unknown, as does the gorgeous theme song. "Stella By Starlight" is my mom's favorite song, and many a bandleader and lounge pianist has presented her, my dad or myself with a vacant stare in response to a request for it. In the early 80's I found myself in Arthur's Tavern in Greenwich Village, dropping a fiver -- a huge amount of cash for me at the time -- into local jazz pianist legend Mabel Godwin's brandy snifter, and asking her to play the tune. While she was indeed familiar with it, she was also something of a character. "Why you want me to play that, child?' she asked. "It's my mom's favorite song," I replied, expecting her to melt at my 19 year old adorableness. Instead, my fiver now irretrievable, she said, "Hon, I don't know your mom," and she launched into "Blue Moon"
"A help too was war-timed fantasy of the dead coming back to comfort those left uncertain or bereaved, a theme many in 1944 would connect with on deep, if unspoken, levels." Very good point here. A fine review of a really good movie. As you say, ghosts up to that point had been kid stuff, so it's interesting to see it played straight here. A friend & I watched this on AMC eons ago. Expecting kind of a goofy movie, we were both gradually -- and genuinely -- creeped out, believing it was the best and, if this is possible, most realistic ghost pic we'd ever seen. Caught this a year or two back with a large audience at a revival house, and it well over big. 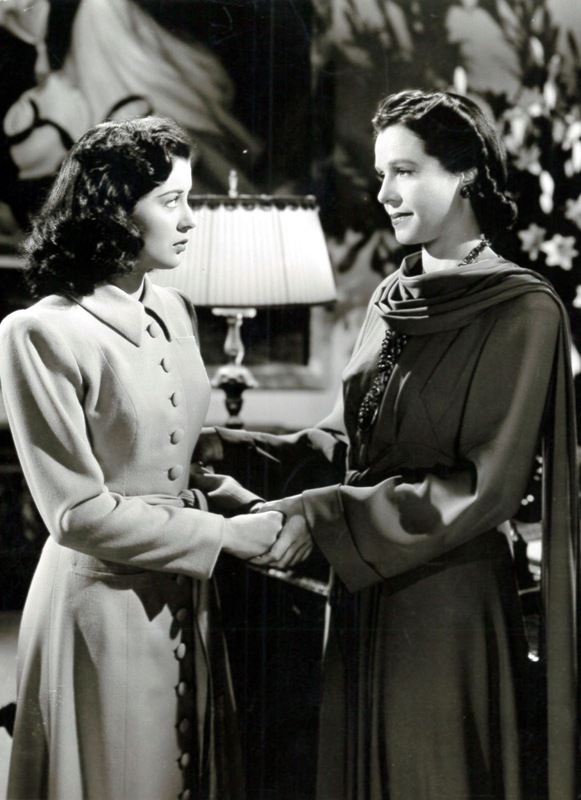 Gail Russell was a heartbreaker, and already appeared heartbroken in "Uninvited," too. Very well done retrospective on an old favorite. You make a good point that can't be made more strongly. THE UNINVITED used to be on television almost constantly. Now, it has practically disappeared from view. When you consider the fairly wide (and sometimes strange) assortment of Universal-controlled features that have been released on DVD, it's extraordinary that this popular and well-remembered hit has never been available, even through U's made-on-demand program. Are there possible legal rights entangling this one? Good news - a Criterion release is set for October!